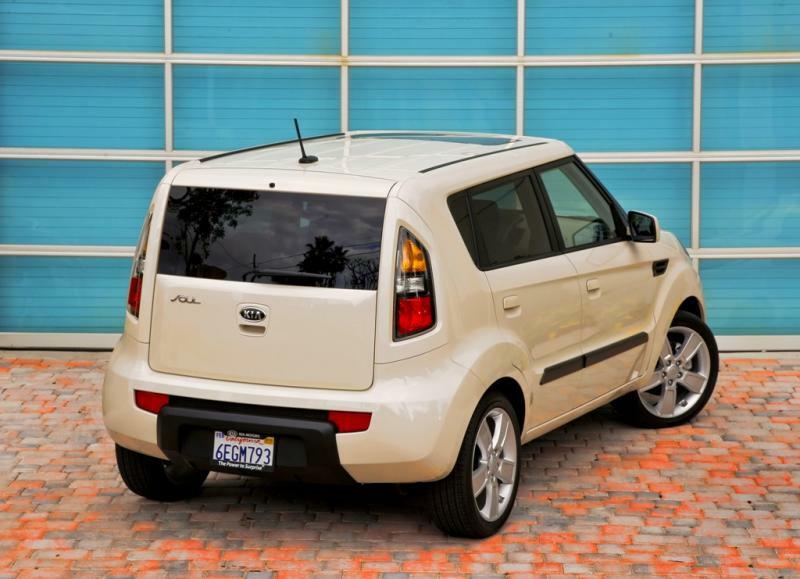 I took this 2011 Kia Soul Plus to Chicago for the weekend, and the 30-mpg highway mileage was quite welcome for the 600-mile drive. I was worried that the tank was tiny when I first filled the thing up and it came to around $40, but I ended up only spending around $70 on gasoline for the whole weekend, which was amazing. I liked driving this, too, as I like cars that are both small and keep me seated high up off the road. The limited visibility of a sloped coupe bugs me, and I am willing to trade in that sleek shape for this admittedly ugly car (it looks like a pyramid with the top lopped off) if it means I feel more confident in my command of the vehicle and view of the road. The car had plenty of room for two and the back seat seemed spacious enough. Some of the dash materials seemed flimsy, as if they could snap off at any moment. I hardly need to explain that the tiger print on the side was a bit embarrassing, and I could almost see the "What was she thinking?" thought bubbles over the heads of other drivers. The interior speakers that light up to the beat of the music might seem funky to some and might be Kia's effort to keep in line with the "Soul" brand, but to me they just seemed unnecessary. How about directing that money to better dash materials?